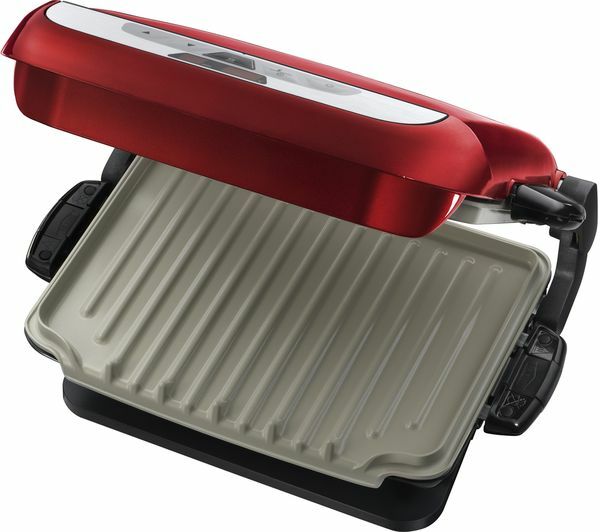 The George Foreman Evolve Health Grill lets you cook with up to 42% less fat. 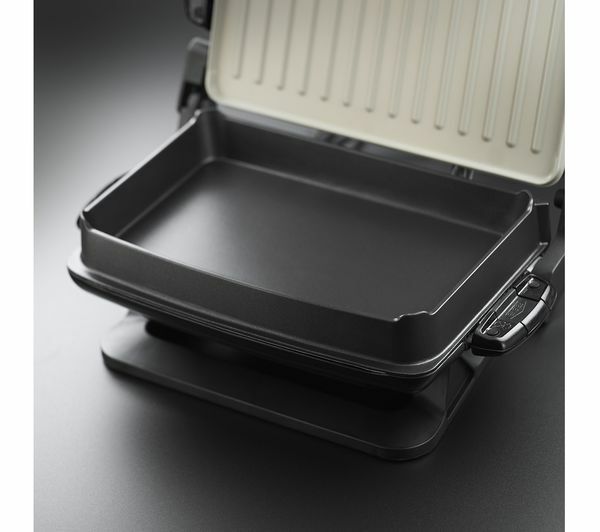 A patented grilling angle applies slight pressure to your food so that fat runs off the non-stick plates into the drip trays for easy removal and less calorific meals. 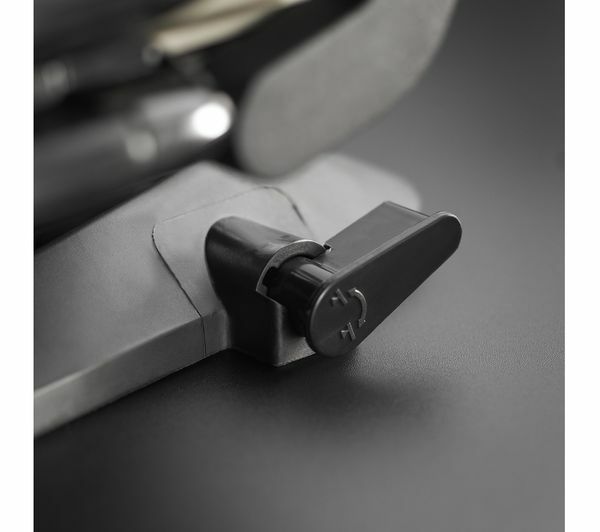 Sear meats to restaurant standards with the Super Sear function. 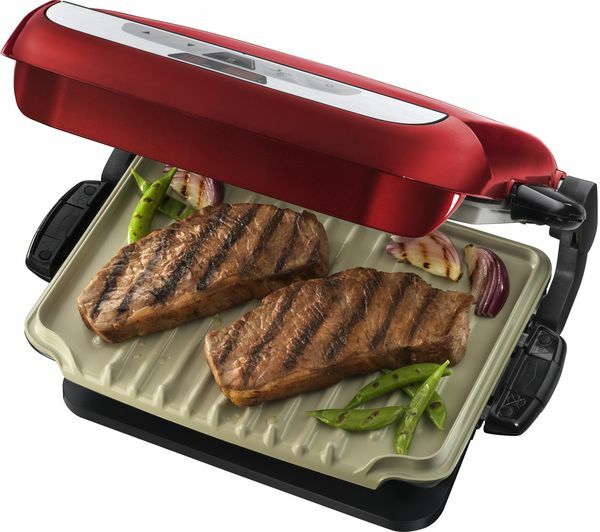 You can cook perfect steaks and create a real impression on your dinner guests. Simply press a button to heat the grill to a high 260%u2070 for 90 seconds - the ideal heat and length of time for perfect searing. Finish different meats for different results or cook them lightly with this setting. 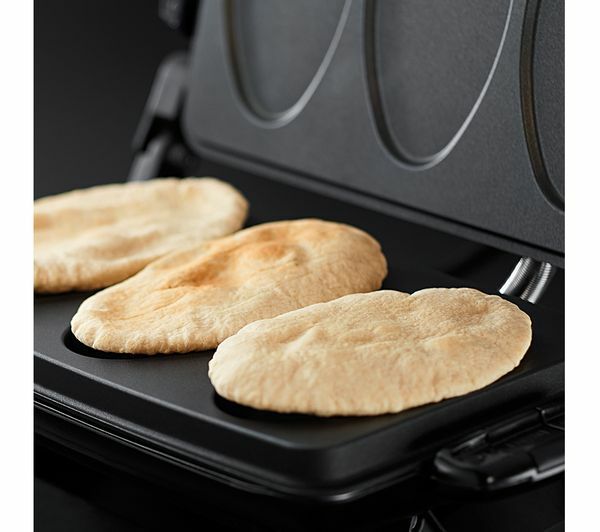 Non-stick ceramic coated plates allow for easier everyday cooking. 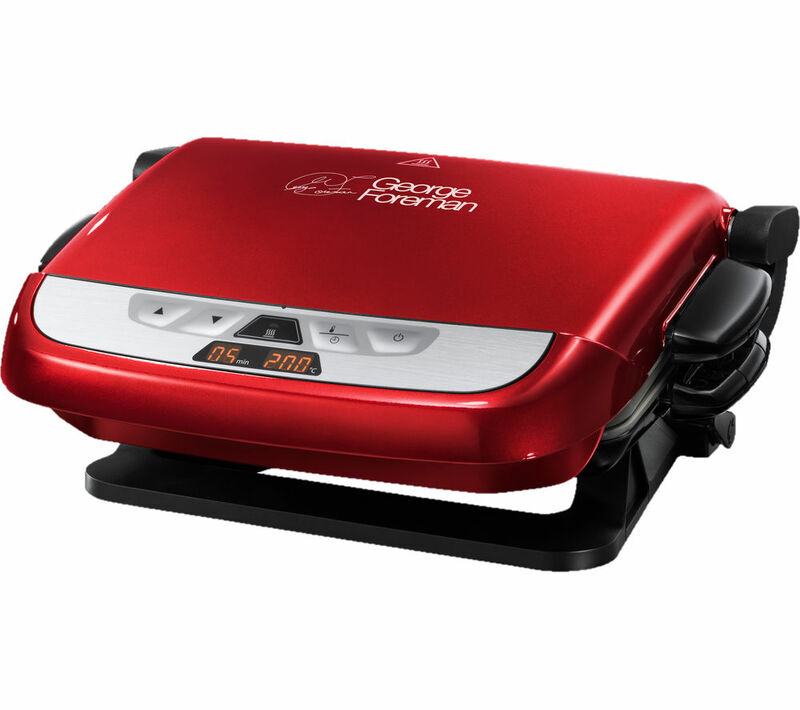 The Evolve Health Grill includes two interchangeable omelette plates and a deep pan attachment for cooking various meals. 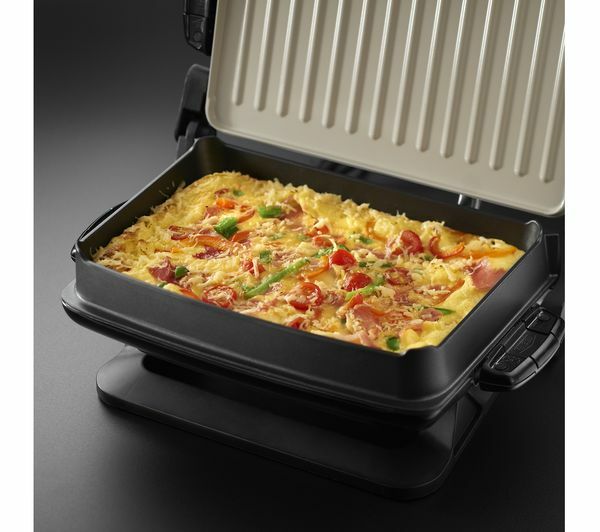 Whip up everyone's favourite egg-based meal – three individual sections allow you to cook a different omelette for everyone. 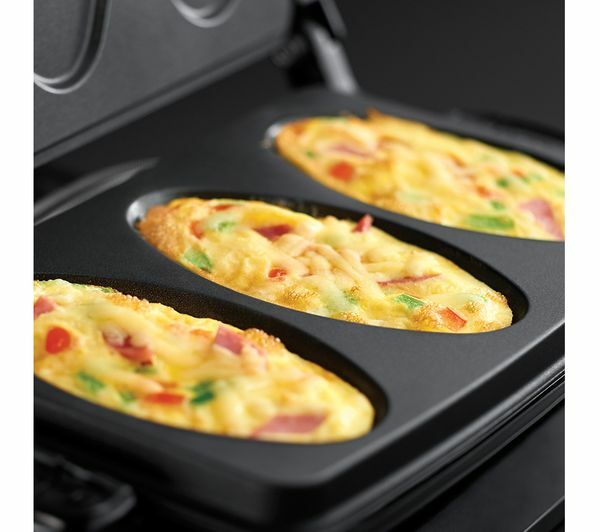 You can even prepare casseroles, cakes and more using the deep pan attachment. 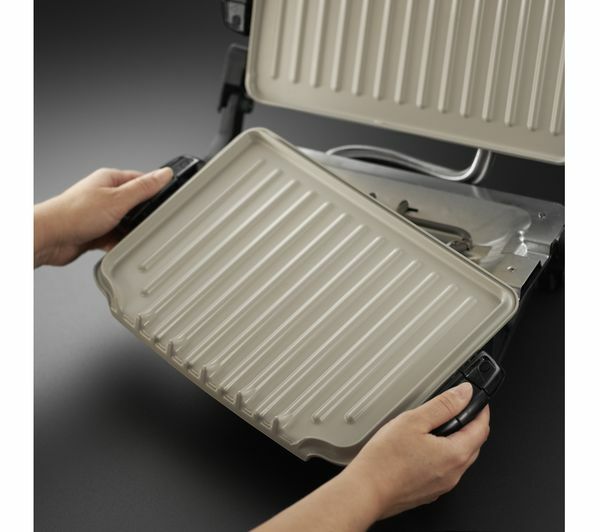 All plates can be removed from the grill and are dishwasher-safe for easy maintenance. Using the dual LED display you'll be able to easily check how your food is doing. Time each meal to perfection with the digital timer and adjust the temperature according to your ingredients. LED indicators show when the grill is too hot to touch. There are no bad points ? It does what it should do. Easy to clean. Love the colour.